Mohs micrographic surgery can efficiently and effectively provide patients with skin cancer removal and cosmetic improvement in a single out-patient procedure. When it comes to skin cancer, patients’ first concern is identification and removal of cancerous cells to achieve clean margins. However, they may also be worried about how their face will look post-treatment. Consequently, many dermatologists recommend Mohs Micrographic Surgery. This skin cancer treatment not only has the highest cure rate, but it also preserves the greatest amount of healthy tissue and leaves the smallest scar possible. Here’s what to expect with Mohs surgery in Waldorf, MD. 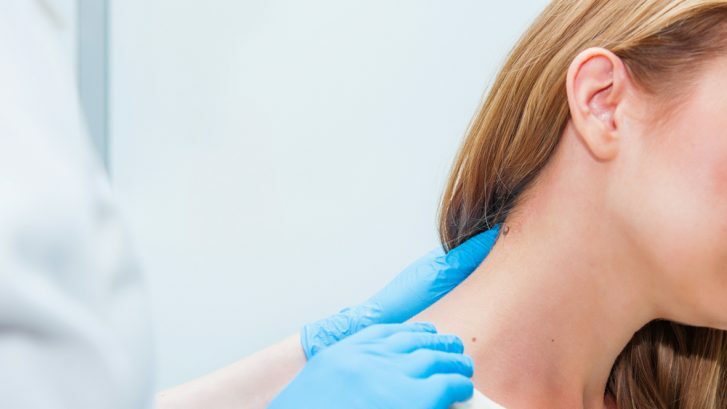 Mohs surgery is a skin cancer treatment that removes a thin layer of skin, which is immediately examined under a microscope for cancerous cells. This process is repeated over and over until the margins are determined to be free of cancer. Prior to Mohs surgery, an experienced dermatologist will examine and mark the surgical site, before covering it with a sterile drape. Then a local anesthetic is used to completely numb the treatment area, and patients remain awake and lucid throughout the procedure. What to Expect During Mohs Surgery? To start, a thin layer of visible cancerous tissue is removed with a scalpel and cut into sections. These portions are then color-coded with dyes, and a map is drawn of the surgical site. Next, the portions of cancerous tissue are frozen, sliced into very fine horizontal layers, placed on a slide, and viewed under a microscope. How is the Tissue Evaluated? Using a microscope, the specimen’s edges and underside are evaluated for cancerous cells. If none are noted, then the procedure comes to an end. However, if cancerous cells are found, their location is marked on the map of the surgical site, and another layer of tissue is excised. The process repeats until the dermatologist confirms that all malignant cells have been removed, and it can take several hours. What Happens After Mohs Micrographic Surgery? Once the surgical site is clear of cancer cells, the wound will either be left open to heal or closed with stitches. It may also be repaired and reconstructed with a skin flap depending on the case. Patients are able to return home immediately after Mohs surgery and should follow their doctor’s instructions for wound-care, scar-care, and follow-up appointments. For additional information about Mohs Micrographic Surgery in Waldorf, MD, please contact our office online or call (301) 396-3401 today to schedule a consultation.